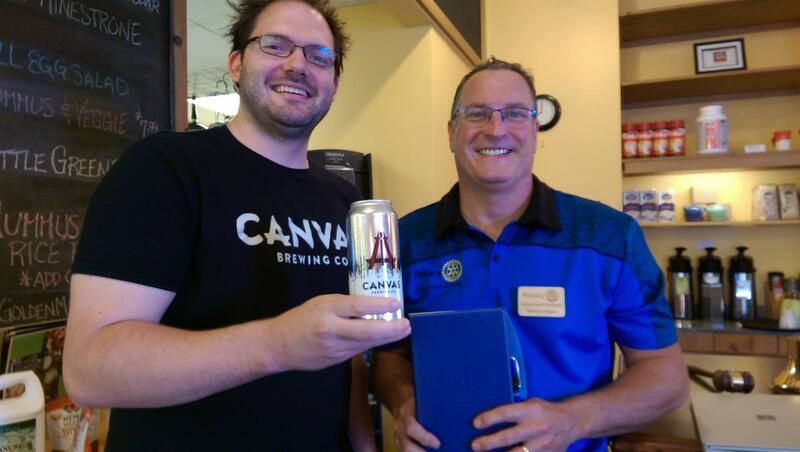 Cheers to Canvas Brewing Co.
Steve Koncan (left), co-founder of the new Canvas Brewing Co. in Huntsville, shares stories of the company's creation and an update on the ongoing brewery and event space construction off John Street with members in August. Oh, and he also brought beer! You can learn more about Canvas Brewing Co. at canvasbrewing.com.